Lisa Raschiatore, plays bass clarinet and clarinet with West Michigan Symphony. Lisa currently serves as Principal Clarinetist with the Michigan Philharmonic in addition to her duties with the West Michigan Symphony. 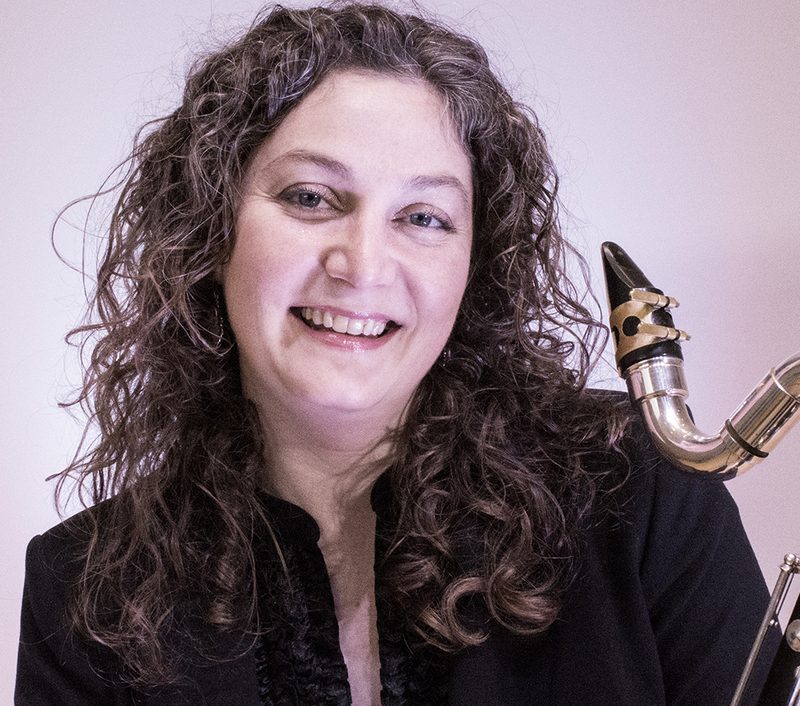 A freelance musician and teacher in the Southeastern Michigan area, Lisa has appeared as a substitute musician with the Michigan Opera Theatre and the Grand Rapids, Windsor, and Detroit Symphony Orchestras on clarinet, bass clarinet, contrabass clarinet, and basset horn. She has twice toured the country with the New York Gilbert and Sullivan Players as principal clarinetist. As an active proponent of contemporary music, Lisa regularly performs and commissions composers in chamber music settings, most recently with her wind trio, Protea, at Trinosophes, Art X, and the Detroit Institute of Arts, and with Amphion Percussion at the DIA and Constellation in Chicago. She has appeared with vocalist/composer Shara Worden and her rock band My Brightest Diamond at Art X in Detroit, the Laneway Festival at Meadowbrook, the MusicNOW Festival in Cincinnati, and with the ensemble yMusic at the Lincoln Center “Out of Doors” Festival in New York City. She co-founded a new-music ensemble called Warped Consort and has commissioned works from composers David T. Little, Evan Chambers, Andre Myers, and Kirsten Volness. Lisa’s trio, Protea, debuted to local acclaim in 2013 at Trinosophes in Detroit, with Lisa on clarinet, Dennis Carter on flute, and Mariah Boucher on piano. The Detroit Metro Times listed Protea as “a new trio of top-drawer local musicians” and indeed, their musical energy onstage is electric and energetic. Protea’s repertoire is varied, focusing on works that blend jazz, latin, vocal, and contemporary music influences with classical woodwind standards. Lisa completed her undergraduate degree at Pepperdine University in California under the tutelage of Mary Gale, and earned both her Masters and Doctoral degrees at the University of Michigan with Fred Ormand, Dan Gilbert, and Monica Kaenzig. Dr. Raschiatore has served as the Interim Professor of Clarinet at Central Michigan University, as Instructor of Clarinet at Alma College, and as Adjunct Professor of Music Theory at Adrian College. She currently leads the summer Clarinet Workshop at the Macomb Center for the Performing Arts, is the clarinet instructor for the Performing Arts Institute in Pennsylvania each July, and teaches clarinet, music appreciation, and coaches chamber music at Madonna University in Livonia. She additionally maintains private studios in Northville and Livonia, Michigan.